As part of an ongoing series on recent graduates who have gone into online journalism, founder of Inside The M60 Nigel Barlow talks about what led him to launch his own news site, and where it might go next. At the age of 43 I took the momentous decision to come out of finance and business and train to become a journalist starting a 3 year course at UCLAN. 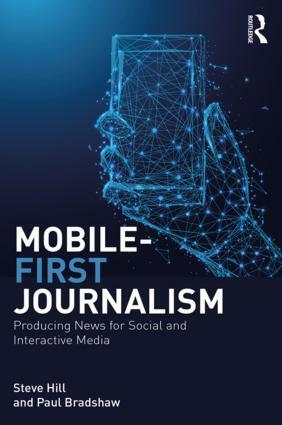 I think I quickly realised that journalism was undergoing a massive change both in technology and in business and I quickly got into the conversation in my first year using blogging and then Twitter as well as attending as many journalism conferences in the flesh as possible. For me the tools of new media, blogs, easy to use video, Twitter, RSS feeds etc. were a necessary tool for anyone wanting to break into journalism. But more than that, it was changing the fundamentals of the economics of publishing and making me think that the route for me would be to go down the low cost route of setting up a niche site. I have to say that apart from a few individuals on the UCLAN course (Andy [Dickinson] obviously) there was little encouragement to go down the route I have taken. 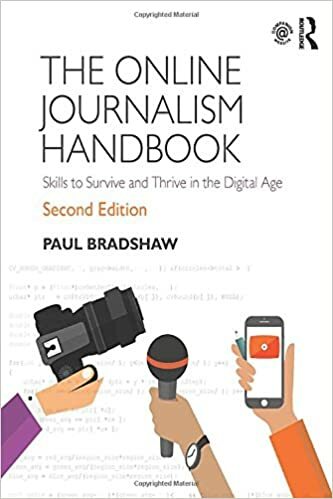 The traditional paths into journalism were the ones that were being paraded and the use of new media, I have to say, was bolted on to courses rather than being the norm. Very few of my fellow students blogged except when they had to for course work and Twitter was not used to any great extent. When I graduated, the idea probably hadn’t still formed for Inside the M60 but my six months working at Innovation Manchester setting up their social media network opened my eyes to a lot of what was going on in Manchester which simply was not being reported (besides making loads of contacts). I’d met Louise [Bolotin] through Twitter and then Social Media Cafe and coming back together from a journalism conference we decided that there was too much talking about journalism’s future and not enough action. We found that we had both been thinking about a news site for Manchester, maybe in slightly different ways. I started to talk to a number of people in Manchester and in the industry about it and here we are today: still with a lot to do but excitingly building up a great brand in the city and ruffling the traditionalists’ feathers. As to how it develops in the future: the project is already changing direction. I want to move away from the “hyperlocal” tag which seems to have so many connotations and instead, with the right amount of resource, I want to make Inside The M60 the news site for Manchester which will be sustainable as a low cost provider. This entry was posted in blogging and tagged Andy Dickinson, Hyperlocal, Inside the M60, louise bolotin, New Online Journalists, nigel barlow on July 21, 2010 by Paul Bradshaw. Hi Nigel; I wrote a few recommending comments on another of these ‘new online journalist’ mentions…Hannah I think it was. In addition to this you might wanna check that out. With going and getting a degree so expensive nowadays you have to remember that if you’re looking to actually make investigations in the old fashioned sense you need a profressional camera and a good set of lenses. A Nikon D700 is a good one I’ve had a chance to try out, but I’m actually using an earlier D200 myself and find it alright. Obviously there are other brands like Canon, and I advise visiting a camera shop to get a feel for what you like; weight varies a lot and some like that others do not for instance. Don’t just read up online and think you ‘know’ what you want…for a purchase as expensive as this you need hands-on experience plus conversation with guys who know their stuff. For a good new camera body you need at minimum £1,500 . Then another £1,000 for a few of the most versatile new lenses. This outfit will allow you to shoot in the dark easily (a blessing in our cloudy country) and at a reasonable speed but its not anything you’d want for paparazzi style work as that requires extremely fast captures unless you have better timing than Jimmy Carr on a great night. Oh and be wary of buying used; some cameras can have had more use and have a pretty heavily worn shutter. Of course if you don’t want to do photos and reportage then this is irrelevant; there are many hacks who don’t know much better how to use a camera then John and Jane on holiday to Spain. They are commonly office bound but that’s how it is these days; good luck. In hindsight, do you think the three-year degree was worth it? It sounds as though the tools you’re using/experience you’ve picked up was away from the university? I’ve followed Insidethem60 ever since I read about it somewhere, you’d made the suggestion that the MEN had only just started covering councils, and they responded saying that wasn’t the case. Do you think there’s a danger that ruffling feathers for the sake of it won’t achieve anything constructive?